A tragic and freak accident. They say a picture paints a thousand words. I genuinely don’t think that I have to write about how beautifully poignant and fitting the #PutOutYourBats tribute it is, created by a fan. Social media can be used for some incredibly negative actions, but then in moments like this, it shines. This kind of social media response is a very difficult form of communication to explain. 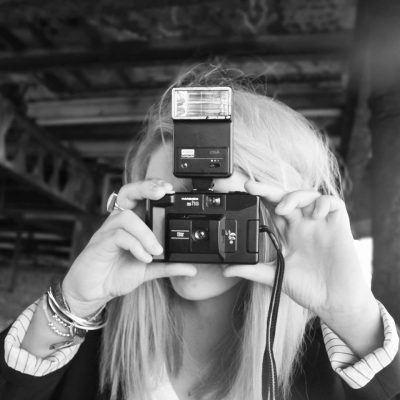 It’s incredibly powerful, born out of love, respect and helps to capture what words are unable to. 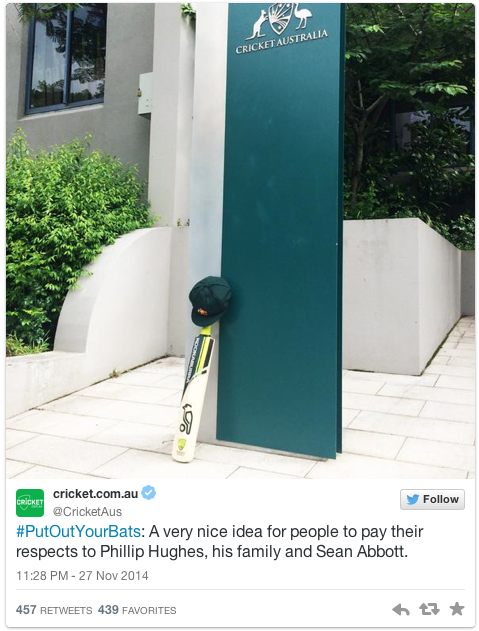 Cricket.com.au has an amazing collection of the Phillip Hughes #PutOutYourBats tributes. 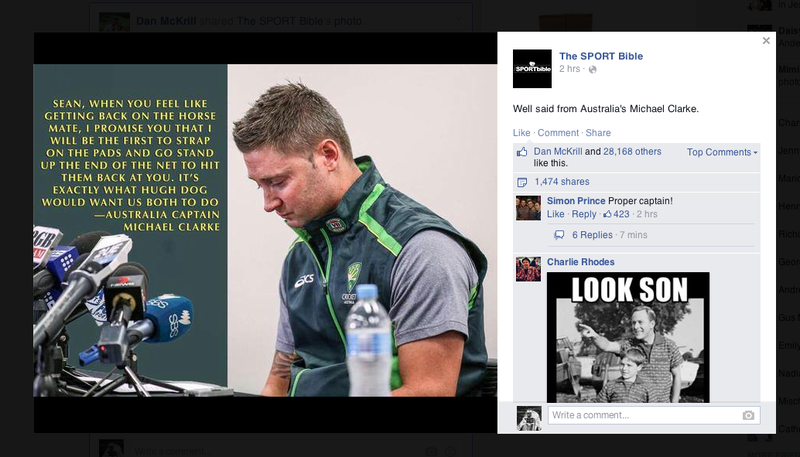 I also have to support The Sport Bible who posted Phillip Hughes amended last score and the words the Australian Captain, Michael Clarke, has said to Sean Abbott. A great loss to the sporting world. Let’s not make it two.